This hotel is closed for refurbishments this year so is unavailable for Christmas parties. 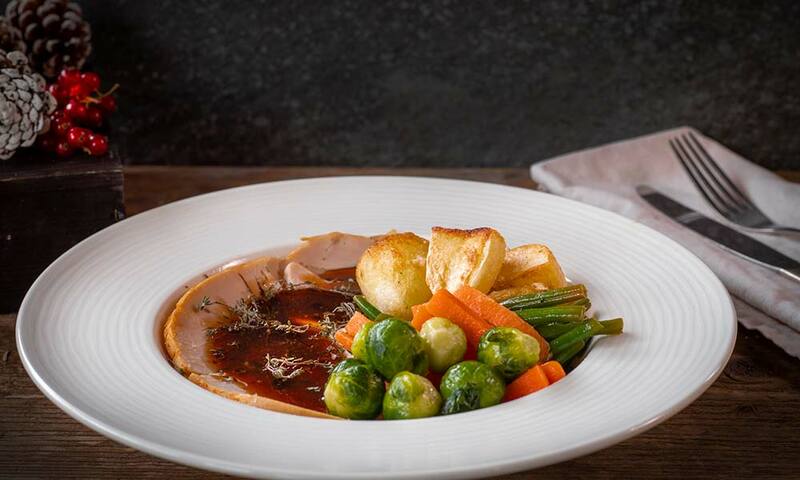 We’ve got the festive season all wrapped up at The Radisson Blu Portman Hotel! 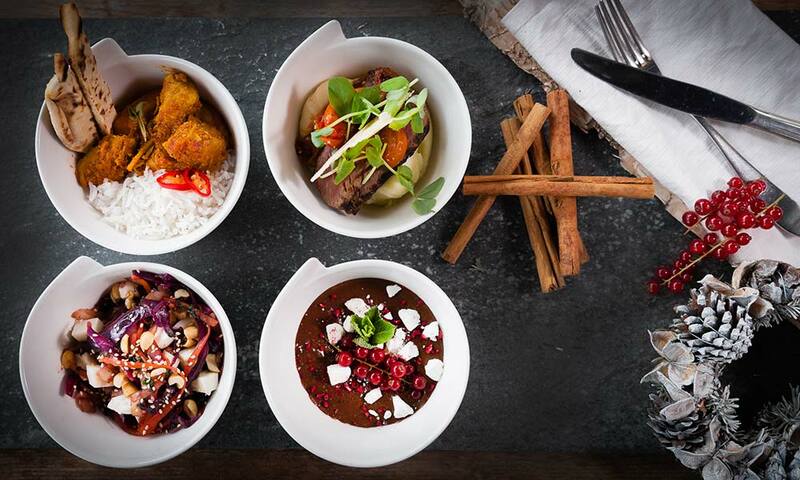 Whether you’re planning something special for family, friends or colleagues, we provide the perfect space, a lively ambience, delicious food and impeccable service. Our breath-taking Grand Ballroom is one of the capital's largest banqueting and event spaces, accommodating 200-600 guests. 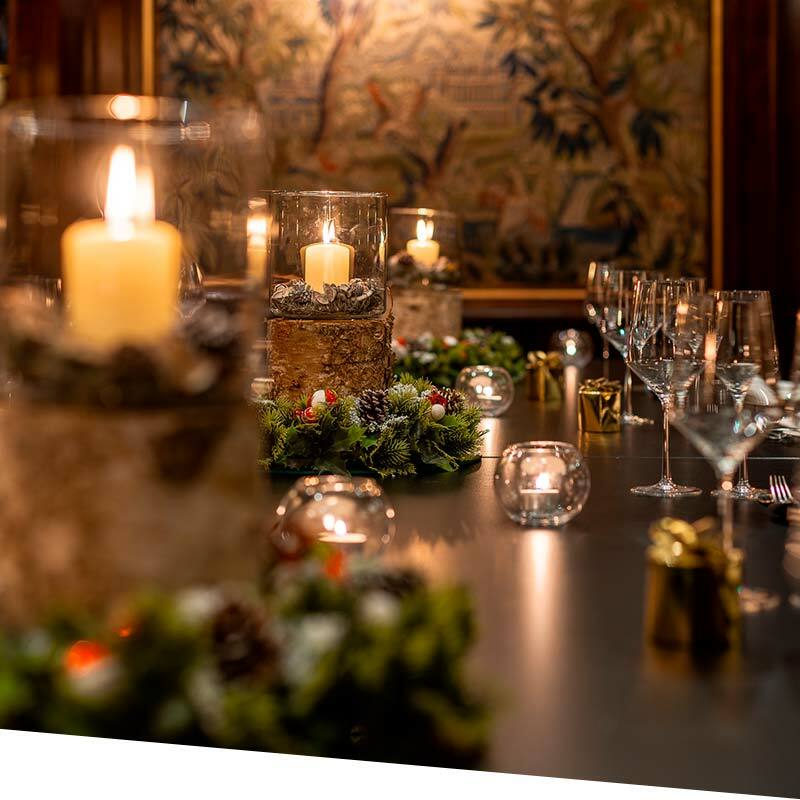 Boasting elegant panelling, glittering chandeliers and perfect acoustics, create the perfect party atmosphere by adding festive decorations, a live DJ, delicious food and bubbling beverages. And with ample space for dancing, there's no excuse not to get social! Impress up to 18 guests for a lively sit-down dinner in our stunning Library Suite, with its stately panelling, rich tapestries and gilt accents. 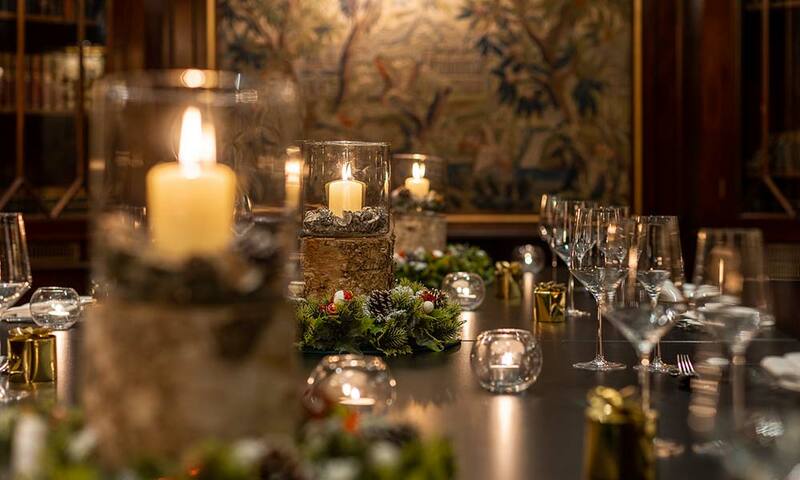 Elegant yet intimate, it provides the ideal atmosphere for socializing, swapping gifts and raising a glass to friends and family during the most wonderful time of the year. Drink, dine and dance the night away in one of our range of suites, seating groups of 30, 50, 70, 120. Alternatively, combine them all to accommodate 200 and enjoy an afternoon or evening of festivities overlooking Portman Square through our floor-to-ceiling windows - passers-by are guaranteed to be envious. Christmas parties packages available throughout November till end of January 2019. Prices start from £59 per person. Glass of sparkling wine on arrival followed by a three course dinner with half a bottle of wine per person. Christmas decorations included. DJ complimentary with 45 or more guests. Glass of Champagne on arrival followed by a three course dinner with half a bottle of wine per person. Christmas decorations included. DJ complimentary with 45 or more guests. 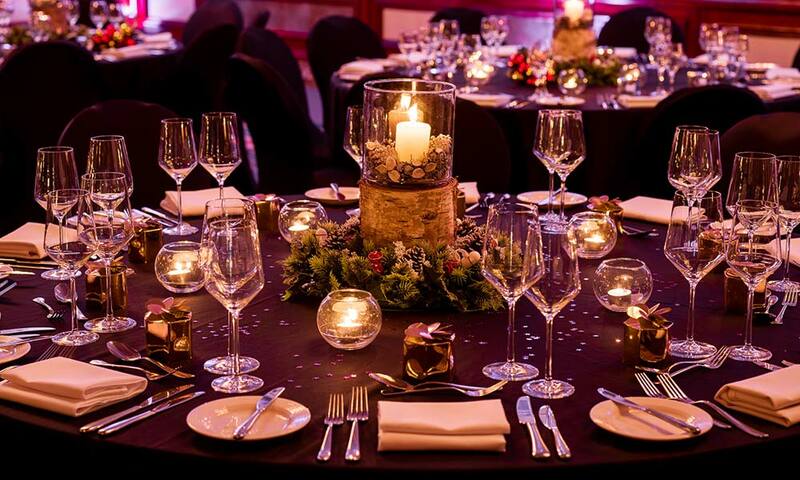 From twelve private dining areas to our grand ballroom, whether you're looking to entertain six guests or six hundred, our experienced staff will be delighted to help you plan your festive celebration. 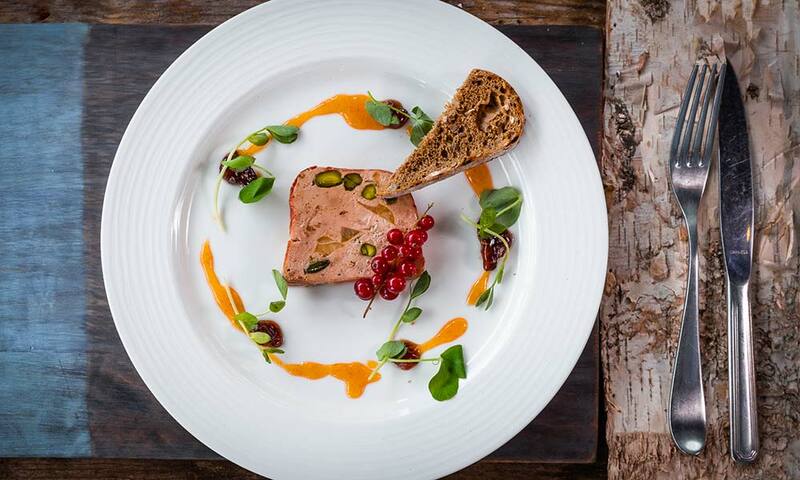 For a more relaxed event, The Portman Grill & Bar offers traditional British classics in a comfortable, stylish setting. 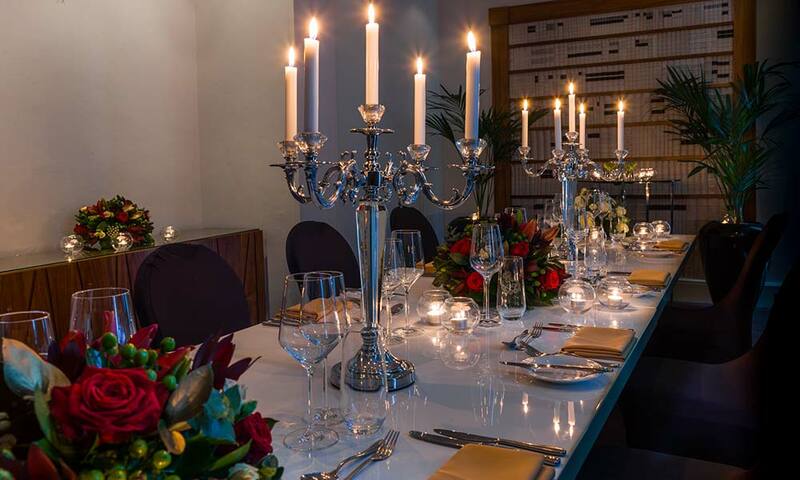 There's something for all parties - big or small - at The Radisson Blu Portman Hotel. Set in London’s West End, this modern hotel is just a 5-minute walk from Oxford Street and Hyde Park. The hotel’s location in London’s West End, near Oxford Street, 300 metres east of Edgware Road, makes it easily accessible by car. The A40 motorway lies 1 kilometre north of the hotel, with easy access from the M40, M1 and M25. An NCP car park is located directly beneath the hotel with access on Gloucester Place (charges apply).